Hi. 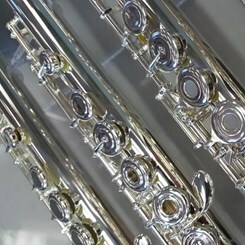 My name is Frank Jones, and I am a flute teacher at Music & Arts. I earned my B.S. in Music Education from East Tennessee State University. My performance experiences are many and varied, including: the Virginia Beach Pops Orchestra, Symphonicity, Tidewater Winds, and Unites States Navy band. I have years of teaching experience with high school bands, as well as more than 50 years teaching experience with the U.S. Navy School of Music. I would love to teach you or your child how to play the flute. Request Lessons with Frank today!